Save $210 / 210€ on Complete Toy Museum and up to $50 / 50€ on your purchase at uvi.net! 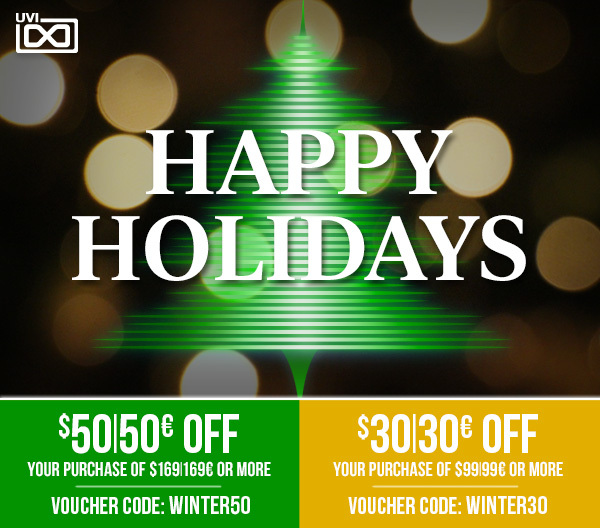 This holiday season, celebrate with some awesome discounts! or $30 / 30€ off purchases of $99 / 99€ or more! Simply enter the voucher codes above when checking out.